Fry Collection and Model Railway To Be Located Here, originally uploaded by infomatique. Minister for Transport, Tourism & Sport Leo Varadkar has today (Friday) welcomed a breakthrough for the Fry Collection and Model Railway, which is set to return to Malahide in County Dublin. The model railway, which contains a model of every type of train that ran on the railways of Ireland, will be the centrepiece of a new €2 million tourism development at the site of the old Casino House in Malahide. Fáilte Ireland and Fingal County Council are in the final stages of negotiations over the return of the model railway to Malahide, where it will be open to the public in a purpose-built building next to the old Casino House. · The treatment of the site as a heritage, educational and recreational amenity for the community of Malahide. Minister Varadkar said it is important to acknowledge the late Michael Gaffney, whose generosity facilitated this development, and whose representatives are working closely with Fingal County Council to finalise arrangements. He thanked Cllr Anthony Lavin, Deputy Alan Farrell and Minister James Reilly for their efforts. The Minister also acknowledged Cyril Fry’s life-long work developing the collection, and thanked his family for their commitment that the collection be properly looked after and displayed. “I know the local community has been fully behind the efforts to preserve the Casino House and to bring the Fry collection back to Malahide and I am delighted that this will now be possible.” Minister Varadkar said. The Fry Collection and Model Railway was created by Cyril Fry and his family over a period of almost 40 years. Its historical significance is that it contains a model of every train that ran on the railways of Ireland, including experimental trains like the turf burning model. The Dart and Luas are both represented. It was acquired by Dublin Tourism from the Fry family in the 1970s based on a legal agreement, including a covenant to preserve and present the collection for public education and enjoyment. The Museum, working layout and collection were housed in a purpose-built building in the courtyard of Malahide Castle until 2010, and was decommissioned and removed to storage in early 2011. 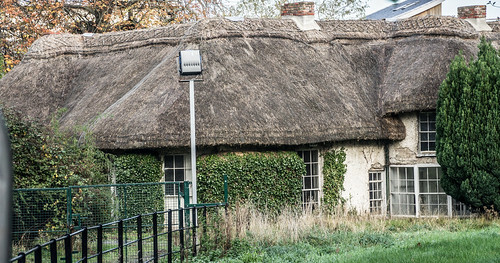 The Historic Casino House is a thatched ‘Cottage Orne’ dating from at least the 18th century. The ‘Cottage Orne’ resulted from the picturesque movement of the late 18th, early 19th century and was represented by smallish houses built in an ornate traditional and artificial rustic manner. They are characterised by thatch and the use of often ornate timber facings and features with climbing roses. They were usually attached to larger estates such as Malahide Castle. The Casino House, given its location, was probably a type of romantic summer house or estate pavilion where people would gather for afternoon tea or a picnic during the summer days.